When it comes to prizes, the bigger the better! Am I rig ht? 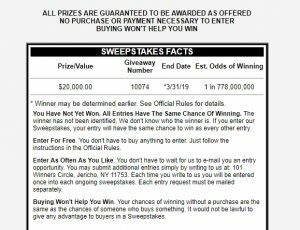 Publishers Clearing House Sweepstakes have amazing prizes that make us dream about the possibility of winning them someday. How could a big win change your life? Let’s talk about some of the biggest prizes they have to offer with these PCH Sweepstakes. PCH Sweepstakes and Publishers Clearing House Sweepstakes are plentiful. Many people don't realize that there are many more sweepstakes at PCH other than the one advertised on television. At the time of writing this blog article, there are 27 total Publisher's Clearing House official sweepstakes. Don't worry about missing out on any because Sweepstakes Advantage has the full list. Just click the link above and browse the entire selection. It's hard to imagine a world without PCH Sweepstakes for a sweeper. Just about everyone receives the official notices in the mail and sees the commercials on television. Did you know that Publishers Clearing House was founded in 1953? In the early days, their company was all about magazine subscriptions. It wasn't until 1967 that they started their first sweepstakes to increase magazine subscription rates. PCH started advertising their sweepstakes on television in 1974. Their sweepstakes jackpots started at 25 cents in 1953 and now are up to 7 million. They discovered that the bigger the jackpot they offered the bigger the response. Seeing the power of the new internet, in 1996 Publishers Clearing House started selling magazine subscriptions and other products on PCH.com. In 2018 PCH is really known as a direct marketing company. It has many games and prizes on their multiple websites now. Does Buying a Magazine Subscription Better Your Odds? You can actually write-in your entry as well. Each entry has to be mailed separately. If you are a sweeper that can handle the extra effort daily entries are allowed. From the official rules, A limit of one online entry per day is allowed per individual and per e-mail address for each separate online promotion unless otherwise specified. To increase the credibility of their promotions PCH Sweepstakes has actually started announcing the winners on television. Usually, right after the Superbowl airs, you can normally see the latest winner being notified at their home or work. Lots of people dream about this happening to them. The big check being delivered to their door is quite an achievement considering the odds to win the big Super Prize. Start practicing your jumping up and down! I was actually blown away when I read down the list of prizes available at PCH. Here is a partial summary as of July 2018. See the full list of Publishers Clearing House Sweepstakes with the PCH Sweepstakes link above. $250,000 a year for life, with a guaranteed minimum of $1,000,000.00. Cash To The Rescue PCH Sweepstakes to win. This has a prize of $100,000.00. Hawaii PCH Sweepstakes to win. With a grand prize of $50,000.00. 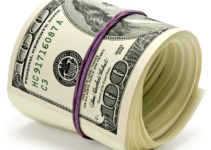 Carefree Cash PCH Sweepstakes to win. Win a prize of $50,000.00. Kitchen Cashin PCH Sweepstakes to win. Win a prize of $35,000.00. Dream Home PCH Sweepstakes to win. Win a prize of $500,000.00. Are there more PCH Sweepstakes? This is just a short list of the PCH sweepstakes promotions we found. Don't forget about the other sites that PCH runs. Search and Win, Keno, Lotto, Instant Win and more. PCH has really come a long way from when it started in the 1950's. They really have changed many people's life's with all the mega jackpots they have awarded over the years. Where ever there is someone dreaming of winning the PCH sweepstakes there is someone who actually will. Sweepstakes Plus subscribers can actually make entering the PCH Sweepstakes easy. Because most of these PCH Sweepstakes are daily entry allowed you could create a custom my sweepstakes category for just these sweeps. Then each day you can go down the list of all the PCH Sweepstakes and enter each one quickly. You could even use SweepsPop to pop them all open at one time in your web browser to make entry even faster. If you are looking to get even more fast you could use a form filler. Roboform could be used to fill each PCH Sweepstakes form rather than get a hand cramp. Coming custom my sweepstakes, sweepspop and Roboform just my score you one of the big pch sweepstakes prizes. There currently 27 PCH Sweepstakes list on Sweepstakes Advantage. Most of these allow daily entries. PCH Sweepstakes is still a big name in sweepstakes. We hope our members score some of these super PCH Sweepstakes prizes. Good luck and we hope to hear about one of our Sweepstakes Advantage members winning the PCH Sweepstakes Super Prize. I would provide for my family. I would love to win anything from PCH, but especially the $7k a week forever, so I could pass my winnings onto my absolutely fabulous son. I will pay some bills off. I would pay off car, help take care of my 16 yr old cat, and do a few things i really wanted to do! Would love to win to pay a funeral bill. I would take care of bills and try to get a place for my 3 lil ones so I could move out from my in laws…. I can’t imagine. It would be fantastic!! if I won I would pay off my bills, and go see my family. WIN IT BIG WITH PCH !! !WIN WIN WIN WIN !!!!!! Send my senior to college and pay off bills.